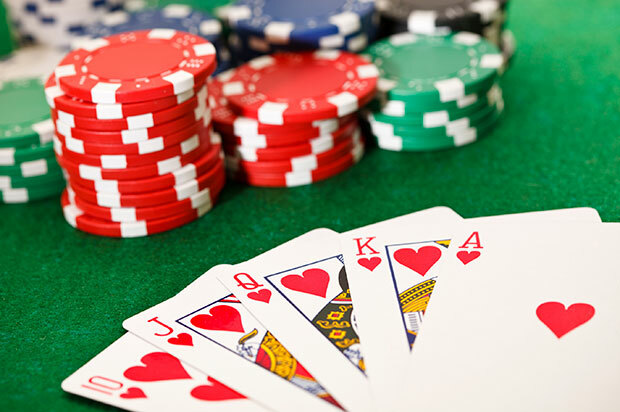 Have you considered holding a poker fundraiser? Poker fundraisers are becoming increasingly popular and are a fun way to raise money for many causes. Depending on how creative you get, this type of fundraiser can earn your group more funds than you might think. Did you know that there are more than 60 million poker players in the United States and more than 100 million worldwide? Poker tournaments have gone mainstream- they’re on television and have a huge following. Charity poker is even bigger than traditional charity golf, billiards or tennis events. There’s a good amount of logistics that goes into proper planning and running of a charity poker tournament. Generally speaking, the more effort you put into the event beforehand, the smoother it will run and the better the experience for all involved. Of course, our coordinators are there to help you every step of the way! Running a charity poker event may or may not be legal in your jurisdiction. If you intend to hold your event in a public venue, you are strongly encouraged and advised to check with the appropriate local authorities that doing so is legal before proceeding with your plans. Each of the states in which we operate – PA & NJ, have state regulations and laws which must be fully complied with. We have provided a brief guide as well as links to the state websites for your reference. We understand that this can be confusing at times and we are more than happy to offer assistance in both understanding these regulations as well as ensuring that your event is in compliance. Most critical is allowing sufficient time, prior to your event, to file all paperwork and get the necessary approvals. Click Here for a general overview for your state. Admission is the first thing to consider when making money from a poker fundraiser. You can either make it an invitation-only event or open it up to the public to maximize attendance and donations. However, it does pay to make pre-registration a must. Once all the players are seated, but before tournament play begins, it’s an optimal time for you (or a representative of the non-profit organization) to speak briefly about the night’s charity beneficiary and the work they do. Company sponsorships allow you to tap into the resources that are right in your community. Businesses can pay a certain amount of money to sponsor a poker table, buy advertising in a printed newsletter, on a website, or a banner. Each business could have a small trinket (key chain, mugs, etc.) or other branded item, that dealers can hand out to the players. This way businesses get some quality advertising and your fundraiser has more money coming in. If a business decides to sponsor a table, make sure that their donation covers the cost of that table and the dealer working it. You may have to be aggressive in your pursuit of business sponsorship if you want to secure highly profitable ones, but a few of the right sponsorships can make your event an even bigger success that you had thought possible. Here is a sample running of a poker tournament based on Texas hold ’em for one hundred guests. It can, of course, be configured in a variety of ways and for any number of guests, large or small. At the start of the tournament, each player would receive $2000 in chips as a participant. Blinds (forced bets) begin at $25 for the small blind and $50 for the big blind. If a player’s chips go below $2000 (but not down to zero), he/she may buy an additional $1000 in chips, at a cost of $20 cash. If a player’s chips go down to zero, he/she may buy-in for an additional $1000 or $2000 in chips, at a cost of $20 cash per $1000. During the break, there will be an opportunity for add-ons. Every player will have a chance to add-on to their current chip totals, by purchasing additional chips in increments of $1000, up to a maximum of $5000 at a cost of $20 cash per $1000 in chips. When the fourth round begins, there will be no additional re-buys or add-ons allowed. When a player reaches zero chips anytime during or after the fourth round, they are out of the tournament. As players are eliminated, the tables will be condensed at the sole discretion of the Pit Boss, until a final table of nine is left. At this point in time, there will be a ten-minute break before the final table begins. These nine players will each get a share of the prizes, depending on their rank during elimination from the final table. Learn More About This Great Fundraising Opportunity! Our team can help you create a poker event that meets your financial, public relations and entertainment goals. Previous PostPrevious Is it time to bring back face to face social networking?